Up at the North Pole, lots of furry polar bears are swimming, snacking and wandering around, just like bears do. Sounds like a pretty easy life, doesn’t it? No school. No homework. No chores. But when one bear nods off and finds herself miles from home, things suddenly get a bit hairy. Oh dear! At least, thinks this bear, things can’t get any worse. But they can. Much worse! What will she do? 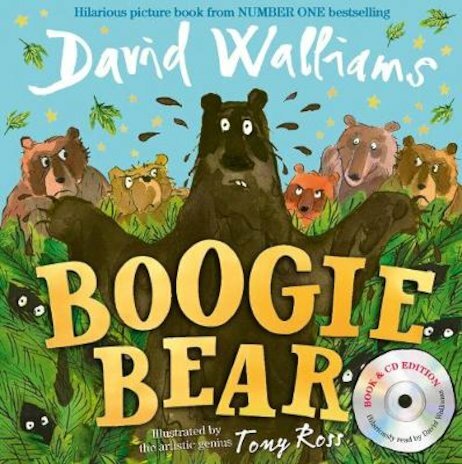 Find out in this un-bear-ably funny tale by picture book genius David Walliams: a must for lost bears – and for lucky kids like you! AD570L Lexiles are the global standard in reading assessment. They are unique as they are able to measure a child and a book on the same scale – ensuring the right book gets to the right child at the right time. 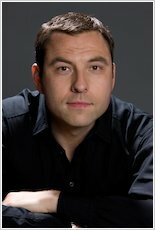 David Walliams is a comedian, writer and actor and is best known for his partnership with Matt Lucas on the hugely popular sketch show Little Britain, and as a star judge on Britain’s Got Talent. David is also well known for his charitable work for Sports Relief, part of Comic Relief. He took up swimming in his youth because he was overweight, and has subsequently completed long distance swims of the English Channel, the Strait of Gibraltar and the River Thames, raising millions of pounds for charity! In 2008 David’s first children’s book The Boy in the Dress was published, illustrated by Quentin Blake. He has gone on to take the children’s literary world by storm, dominating sales charts and twice winning the National Book Awards Children’s Book of the Year. His books have now been translated into 40+ languages, and also include picture books illustrated by Tony Ross. Multi-award-winning Tony Ross has become one of the best-known creators of original and traditional picture books and his work has been published all over the world. As well as his own books, he has illustrated books for authors such as Roald Dahl, Paula Danziger and Michael Palin.